Little is known on the diversity and distribution of truffles at the Balkan Peninsula. 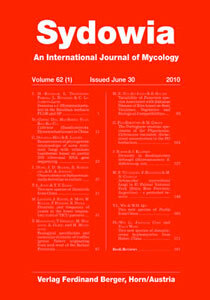 A first detailed study of hypogeous fungi in Serbia has been started at 1992. To extend the knowledge on European truffles and their natural habitats, data on their diversity in Serbia, and to some extent in Montenegro and FYRO Macedonia are summarised within this paper. Twelve species of the genus Tuber, including five varieties of T. rufum Pico, are recorded and their habitats briefly described. Four species are reported for the Balkan Peninsula for the first time. In addition, parts of ribosomal DNA (ITS regions) of 46 specimens are sequenced and analysed to confirm the morphological determinations. ITS sequences of specimens morphologically identified as Tuber fulgens Quél are reported for the first time. A phylogeny based on ITS sequences of the Balkan truffles and additional 29 records from the GenBank is calculated. The results are discussed towards expanding the information on distribution as well as ecological and molecular diversification of Tuber spp. in Europe.